From Academy Award–nominated actress Quvenzhané Wallis comes the first story in a brand-new series about best friends Shai and Emmie, two third graders destined for superstardom. Shai Williams was born to be a star (or a veterinarian—and maybe a dentist). She attends a special elementary school for the performing arts, and her grandma Rosa and aunt Mac-N-Cheese are both actresses. So Shai is shocked when she doesn’t get the lead role in the third-grade musical. Instead, the part goes to the new girl, Gabby Supreme, who thinks she is better than everyone else. To add insult to injury, Ms. Gremillion has now asked Shai to help Gabby with the role. Shai reluctantly agrees and enlists Emmie to help, but Gabby isn’t going to make it easy. As opening night draws near, Shai discovers that making a new friend is sometimes like putting on a show—it requires dedication, patience, and lots and lots of practice. 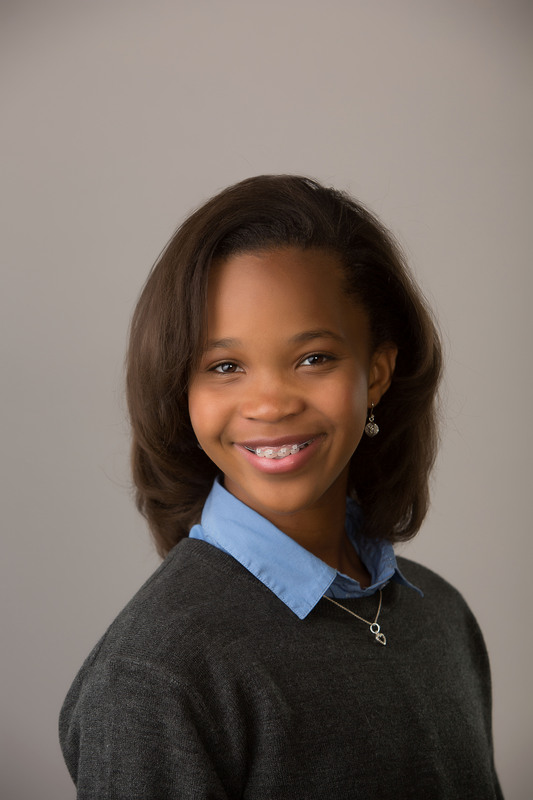 Quvenzhané Wallis knows a thing or two about creating memorable characters. For her feature film debut, Beasts of the Southern Wild, she was nominated for an Academy Award. Shortly after, she received a Golden Globe nomination for her work as the title character in Annie. She has also appeared in 12 Years a Slave, The Prophet, and Fathers and Daughters. Quvenzhané is a daughter, a sister, a model, a singer, a dancer, an actress, an author, a student, and a pet owner. She has many talents and is always willing to try something new. She lives in Louisiana with her family. She is the author of the Shai and Emmie series and A Night Out with Mama. Sharee Miller is an illustrator living in Brooklyn. She grew up on the island of St. Thomas before leaving to study at Pratt Institute in New York, where she earned a BFA in illustration. Though she remained in New York, she is still very much inspired by the colors and patterns of St. Thomas. Learn more at ShareeMiller.com. "...pleasant tale of relationship ups and downs, with the bonus of a fun musical theater theme. Without becoming preachy, Shai models healthy attitudes and behaviors. The depiction of her loving, African American, middle-class family and diverse group of classmates is welcome. VERDICT A good choice for readers who enjoy character development"
The hopeful ending is refreshingly realistic and hits the right notes. ...Audiences seeking contemporary beginning chapter-book series are sure to find much appeal in Shai and Emmie's world." "Teenage actor Wallis knows of what she writes....The interactions between Shay, her friends, and her African-American family bring warmth and light humor to this series opener." 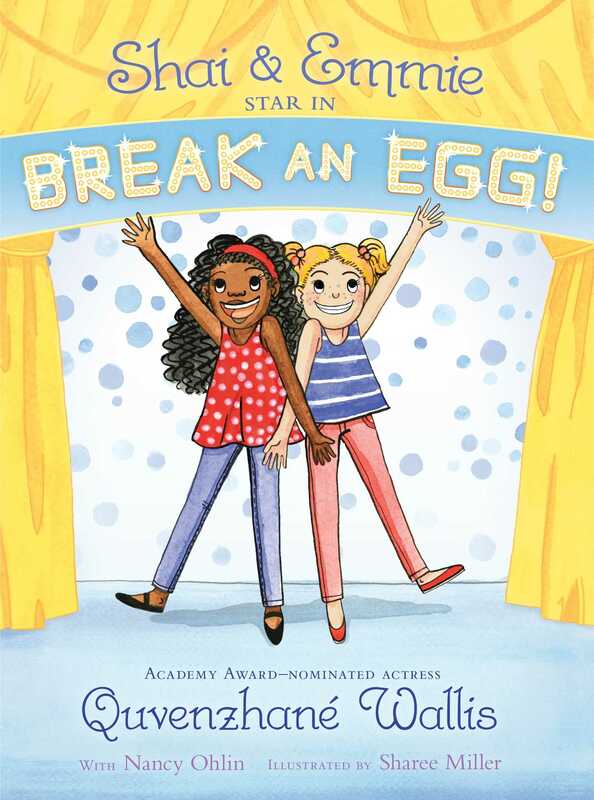 Book Cover Image (jpg): Shai & Emmie Star in Break an Egg!